Montana's complete statewide arts and entertainment calendar includes a searchable database of music, concerts, events, theater, dance, recreation, readings, lectures and art exhibits. The Bob Marshall Foundation (BMF) is dedicated to bringing citizens together to become active wilderness stewards in the Bob Marshall Wilderness Complex. We coordinate volunteers to participate on trail maintenance, campsite restoration and noxious weed eradication projects. 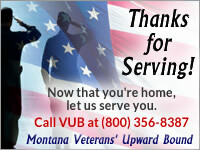 Has information on hunting, fishing, and all the state parks within our beautiful state of Montana. Montana has a greater variety of wildlife than any other state in the lower 48. Think of us as a giant, natural animal preserve. Use our trip planner to tour some of Montana's scenic drives. One of the best Montana lodges and Montana hunting sites offering Montana fly fishing and hunting. Our summer dude ranch offers Montana riding vacations and many other actitivies. TroutChasers Lodge is located on the Gallatin River with great dry fly fishing and access to the Madison, Yellowstone, Jefferson, and Missouri rivers. The thirteen stops along the Montana Dinosaur Trail allow you to discover some of the world's most significant dinosaur discoveries. Much of the Montana landscape that Lewis & Clark crossed remains unchanged. From river canyons to mountain meadows. Montana's rivers and highways flow past scores of landmarks related to the expedition. Montana's memory starts here! Established in 1865, the Montana Historical Society is the oldest of its kind west of the Mississippi River. The Museum of the Rockies Planetarium and exhibits are open to the public. Located in Bozeman, Montana on the MSU Campus. Virginia City, Montana, a living ghost town frozen in time, portrays the struggle for gold to win the Civil War. Bear Paw Battlefield is part of Nez Perce National Historical Park and Nez Perce National Historic Trail, located in Chinook, Montana. Come and experience Glacier National Park's pristine forests, alpine meadows, rugged mountains, and lakes. With over 700 miles of trails, Glacier is a hiker's paradise for adventurous visitors seeking wilderness and solitude. Established in 1872, Yellowstone National Park is America's first national park. Located in Wyoming, Montana, and Idaho it is home to a large variety of wildlife including grizzly bears, wolves, bison, and elk. You can enter from Cooke City, Gardiner, or West Yellowstone. Benton Lake National Wildlife Refuge, covering 13 square miles, is an oasis of native grasslands and wetlands. Located northwest of Great Falls, Montana. Extending 125 airline miles up the Missouri River from Fort Peck Dam in north-central Montana, the Charles M. Russell National Wildlife Refuge contains approximately 1,100,000 acres, including the 245,000-acre Fort Peck Reservoir. Medicine Lake National Wildlife Refuge is located on the heavily glaciated rolling plains of northeastern Montana, between the Missouri River and the Canadian Border. Red Rock Lakes National Wildlife Refuge has often been called the most beautiful national wildlife refuge in the United States. Site that lists all the state parks managed by the Montana Fish, Wildlife & Parks Department. Montana's first and best-known state park showcases one of the most highly decorated limestone caverns in the Northwest. Information on park dates and tour times is provided. Located 22 miles west of Three Forks or 18 miles east of Whitehall on Montana 2. This park encompasses the confluence of the Jefferson, Madison and Gallatin Rivers. Lewis and Clark anticipated this important headwaters all the way up the Missouri River. An easy three-mile drive off Interstate 90 at Three Forks. The Smith River is a unique 59-mile river corridor. Permits are required to float the stretch of Smith River between Camp Baker and Eden Bridge. The 12-mile long reservoir is situated among scenic red shale, juniper canyons, and the open prairies of southeastern Montana. Montana's Missouri River Country. This unspoiled land offers a fantastic getaway for those who truly enjoy the outdoors and have a spirit of adventure. Montana is filled with adventurous possibilities: rafting, hiking, horseback riding, rock climbing, mountain biking, you get the idea. Choose from the links on the right to help you find attractions and activities across the state, then plan your trip. The ultimate Montana travel guide to planning your dream Montana vacation. 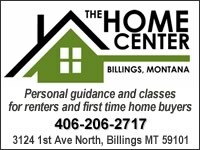 Find a Montana hotel, restaurant or real estate. Also, find Lewis and Clark, Yellowstone and Glacier National Park information.